I still remember the day when my shiny new website was up, ringing in the official celebration for my new business. Friends and family congratulated me, and Life never looked so good before. Little did I know what I was getting into! After the euphoria of the launch died down, there were crickets. All the hard work of strategizing and coming up with services, creating the brand and networking merely helped. The real work started only at that moment. And as I set off on that elusive journey of entrepreneurship, here are some very unexpected things I learned along the way. Ok, so I have my website. I have contact info for my biz. I have a small virtual team. I know my stuff. I’m ready. I am the Founder, and I was so taken aback that I could literally go about doing business the way I wanted. No boss. No set rules. I could complete the work at any given time of the day and sleep when I wanted to. It feels like a dream right? That’s what I thought before I started this small business. As an entrepreneur, I learnt that freedom means a field day to make mistakes. Small mistakes, costly mistakes and silly mistakes. That much freedom means, we take Time for granted. Schedules go out of the window. Before you know it, you are working when you should be sleeping and bathing when you should be having lunch. Wiser, we started reigning in that freedom and things started falling in place. Entrepreneurship is the buzz word of our times. To be your own boss brings in more respect than saying you work at Microsoft as a Sales Executive. The lifestyle is envied by many. The freedom is elusive for the white collared professionals. What one wouldn’t do to be an entrepreneur! Take the risks and bear the consequences. We want to chase that glamour of running one’s own business. But, was I really ready to take on what was to come? One, you have to seriously work your back off to get the business above the ground. You have to sacrifice even the “normal” lifestyle you had because you are saving every penny and can’t afford a coffee date with your girlfriends. Two, you are forgetting to paint your nails, oil your hair, apply that face-pack, smoke a cigarette or even laugh out loud. You don’t have the time to think about anything else, or enjoy some free time off because your head is deep into your business’ success. I believe, it gets glamorous, or seemingly so, only very far into the future when the business has matured. So people quitting their jobs, seduced by the glamour of it all, from my lesson learnt on this, you have to be prepared for something totally different! I thought I had the best solution in the market to fix the gap of e-commerce owners looking for online brand management and marketing. Convenient and well priced, I thought people will come running to me. And yet, the service was barely wanted by customers. At least, it was not something they were willing to pay for. They would rather pay someone for the dreary job of managing their e-commerce website. Or they just felt paying for social media marketing was not worth it. Either GLAMAFONE (my start-up) did a bad job convincing them about our service, or we were not in the business of people. After having learnt that we are actually at the mercy of the clients, we had to customize and tailor our offerings to their needs. It was also more about studying their pain points. It was also about analyzing their customers and what they wanted from that brand. People will not take anything you give them. You need to sweet talk them, woo them and most of all, respect them. This may be some business (read MBA) funda I learnt on this journey, but it is very important! While the first few months were all about breaking-even (which we did), we had to then choose between making profits (income > expense) or just generating enough income to survive (income = expense). While anybody with common sense will choose the former, we practically learnt that it is safer to just generate cashflow and save on it until we are ready to make profits. Taking on more clients than we can handle or growing too much too soon, we realized, was a recipe for disaster. Though right now we have a very small clientele, we have to constantly find creative ways to grow without breaking our backs (or the bank). But isn’t that the thrill of entrepreneurship?! 5. One role and Many Hats! What I learnt from my short journey of entrepreneurship, I don’t think I learnt even in 4 years of engineering college. If there’s one thing you need to do to learn how the world works, what it really means to be in service or sell a product, what hard work and dedication it really takes to make money (and become a millionaire), you should start your own business. As the Founder, I got to enjoy the fancy title and awed looks my way, but I also had to take up the frustrating work of a cold-caller, recruiter, SEO person who copy pasted links everywhere, and the accountant who had to run after clients for payments (oh yes, you thought you’ll get paid on time, every month, as a start-up?). What a disappointment I was in for, because I just couldn’t sit in the CEO chair and admire my nails! No, not even for a moment. I learnt there’s hell lot of work to do as an entrepreneur; more than you would do in your 11 hour 9-to-5 job. You actually have to do it all. Physically. 6. There’s an addiction greater than coke. Ahh, pardon the pun on coke. But whichever version of coke you are addicted to, let me tell you, you should try being an entrepreneur! Your business is your baby. You’ll do everything you can to make it survive, to glow, to succeed. You will forget your bad break-up because you have a greater passion that’s your start-up. You will get addicted to getting paid for what you really rock at. You will get addicted to coming out successful after a failure. You will get addicted to the creative ways in which you can steer your business. Just the sheer volumes of control and challenge you get in entrepreneurship is enough to make you stick through it. This was a pleasant learning through all the hardships, adversity and opposition from family. To see your bank balance ringing with rewards of your brain-child is the highest form of contentment you can get out of life. 7. LinkedIn changes the Ads it displays to you! I just had to tell you this! Yes, it’s true. I started getting ” sponsored” messages in my LinkedIn inbox from Realty companies to buy something now, which I’d take another decade (hopefully lesser!) to do so. Airplane companies prompted me to join their VIP clubs. I had ads of swanky Cars and NGOs asking for donations flashing relentlessly on the right column of my LinkedIn homepage. So if you’re getting adventurous, go ahead and change your title to CEO (you are the CEO of your desk, c’mon!) and see what LinkedIn does after a while. And one day, when you really are CEO, take advantage of LinkedIn’s offers! And this is it folks- each to his own journey. My learning was mine, and I am sure there’s a lot waiting for you if you choose to go down this route. 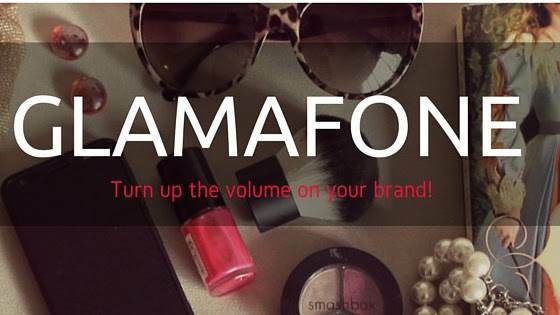 While I do have another full-time job, I continue to serve as Advisor for GLAMAFONE because I trust my team members who love what we do, to keep it afloat. Why I chose a full-time job over being full-time CEO of my baby start-up, is probably left for another post. I clicked on the image which said GLAMAFONE to check it out (You got my (potential client’s) interest with your blog – job well done), however, on clicking it took me no where (not linked to your website)……that is a pretty bad first impression for someone who is going to manage a client’s online brand…. don’t you think? Hi Jaineel, thank you for taking the time to read my article and for sharing your feedback. While you are right that the article could have had links pointing back to my site, marketing my company is not my main intention of writing on this site. I already do that on my personal site. The primary intention of writing this article is to share my experiences in the startup world with those who are curious about it. The other motivation is to learn from folks like you who are also into entrepreneurship. Which is why, I appreciate your time and suggestions. Please continue to share more ideas on my future articles! keep posting your creative ideas 🙂 i actually need it …..